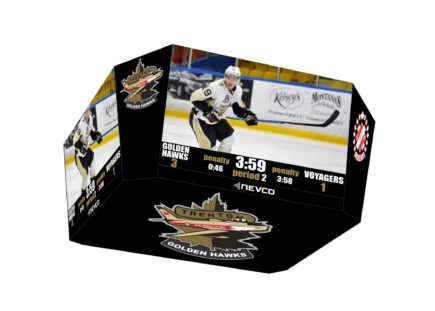 Nevco Sports is a leading designer, manufacturer, and marketer of customized sports scoreboards, integrated LED video boards, electronic display signs, scoring, sound systems, and related accessories. The Company primarily sells its products to high schools, colleges and universities; stadiums and arenas; recreational facilities; and commercial properties. The Company boasts a long-established brand name that is recognized for quality, service, and reliability, and in recent years, the Company has established itself as a clear market leader in innovation and new product development. Slam Dunk (2018): Sports marketing firm providing quality services and athletic equipment to schools while offering exclusive opportunities to advertisers and sponsors.